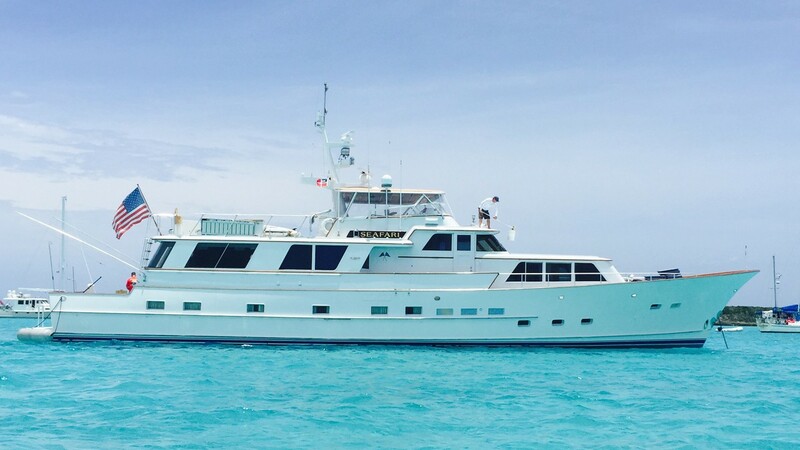 Motor yacht SEAFARI was launched in 1975 by Berger Yachts and refitted in 1997, 2007 and 2016. 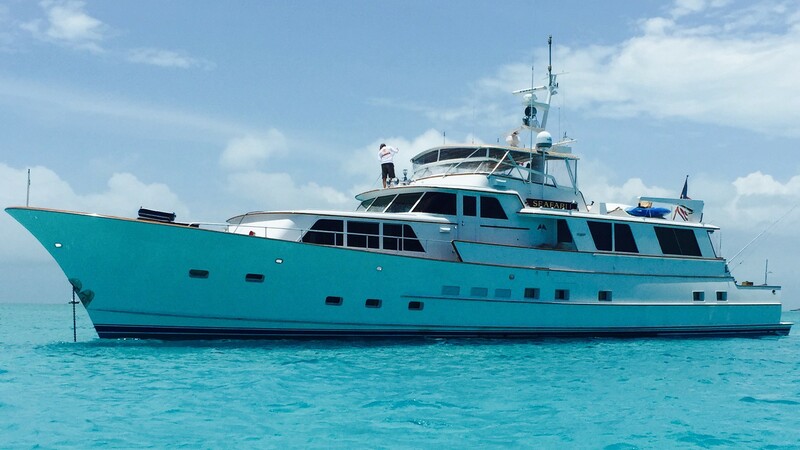 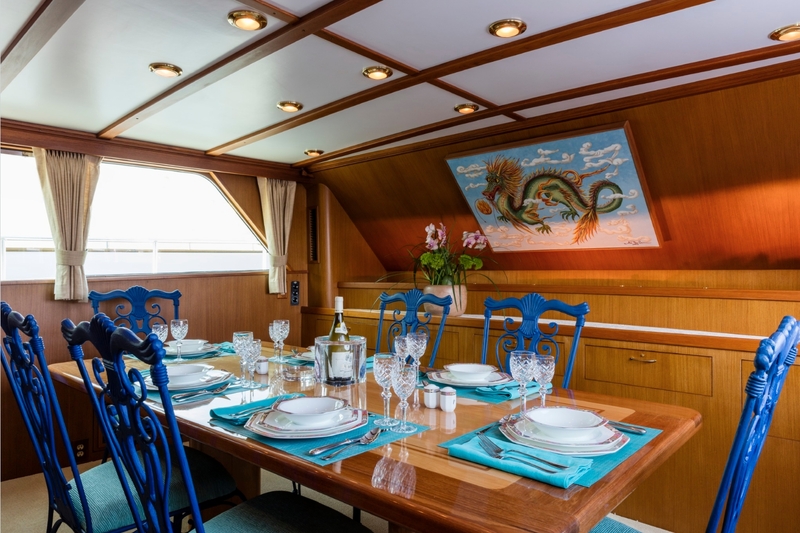 She is 28,3m (93ft) in length and offers accommodation in 3 cabins, for up to 6 charter guests. 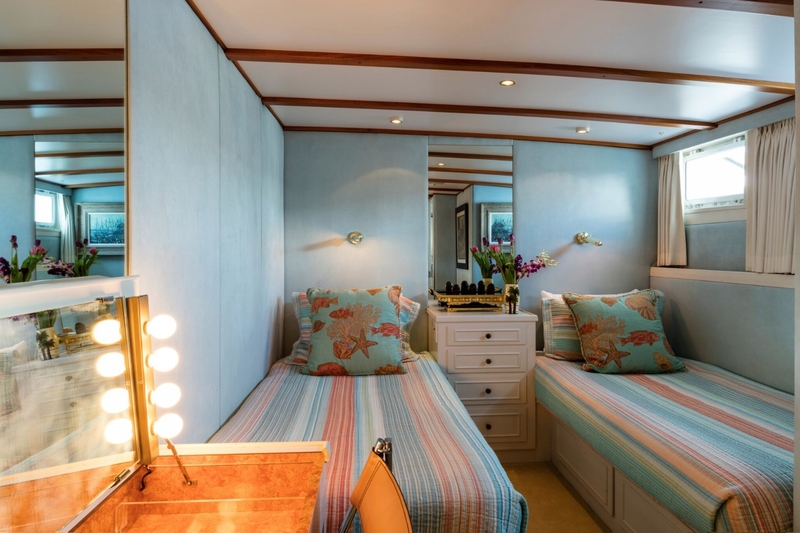 Her interiors feature warm wood panels, contemporary flooring and comfortable soft furnishings. The salon offers generous seating with lounge recliners, sofas, coffee table and casual dining table. 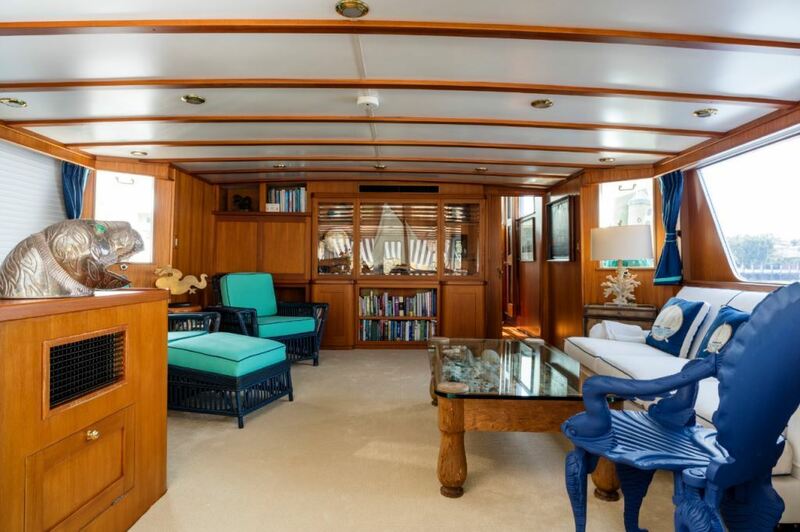 A foyer on starboard leads forward to a day head, galley and full beam private dining area. 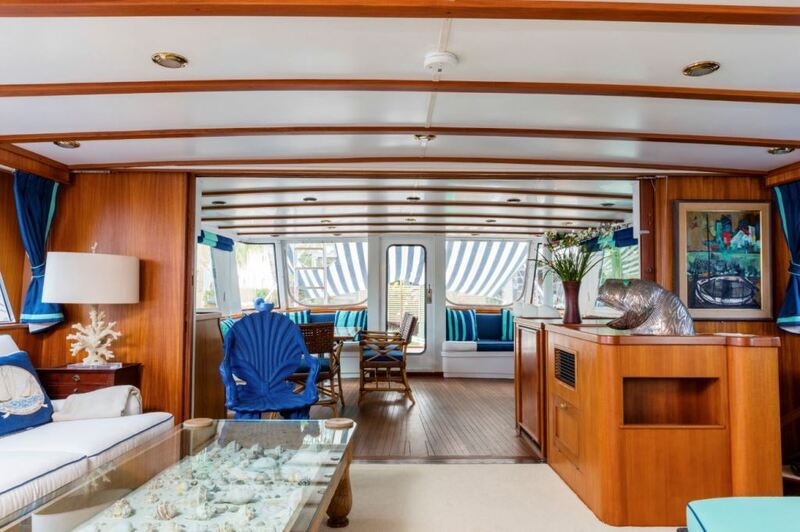 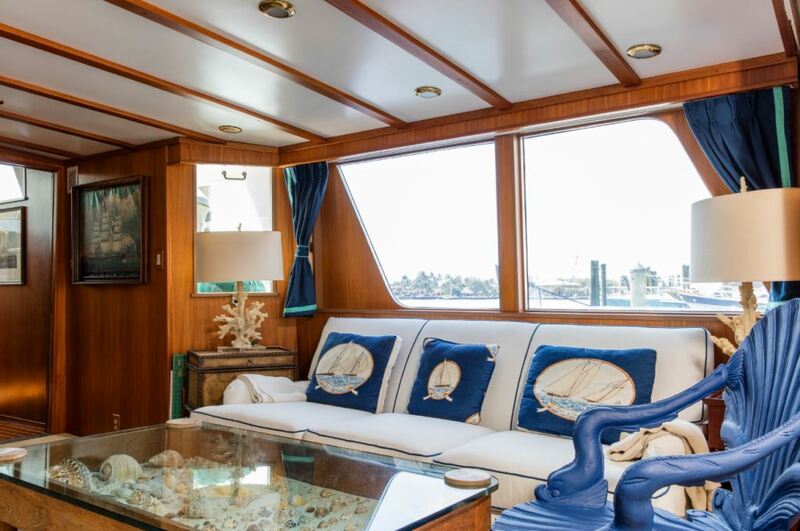 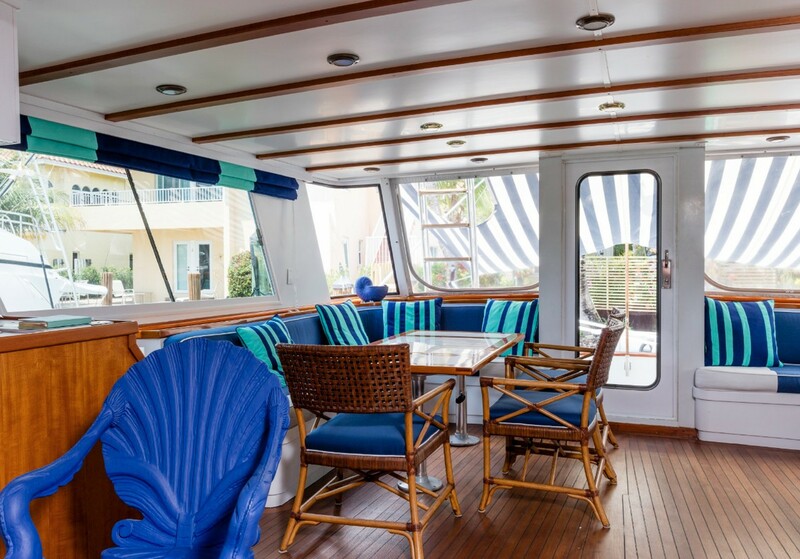 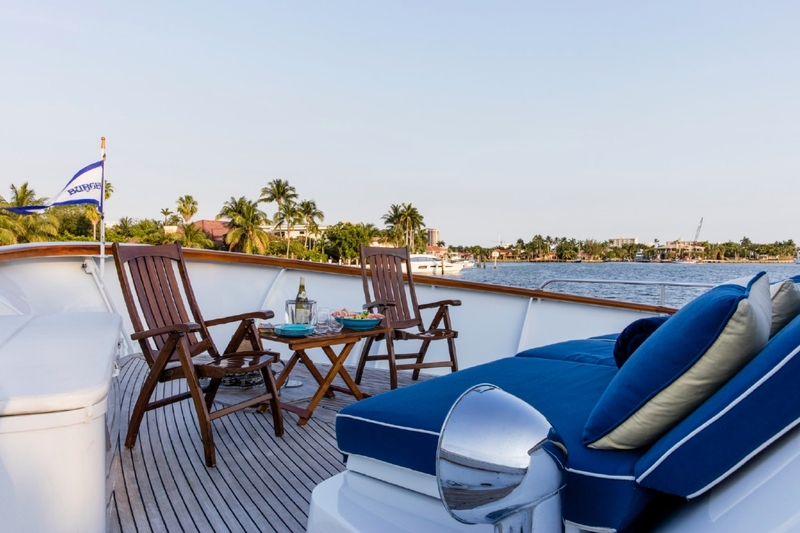 Panoramic windows throughout the main deck provide an open airy atmosphere and scenic views. 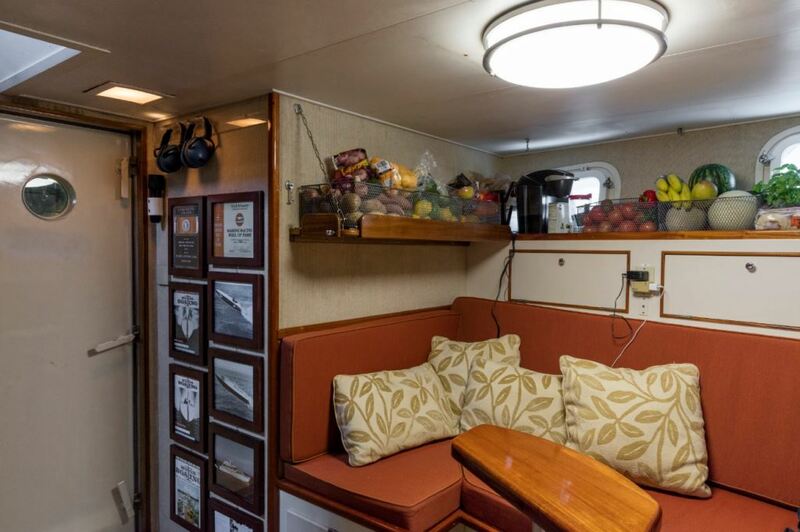 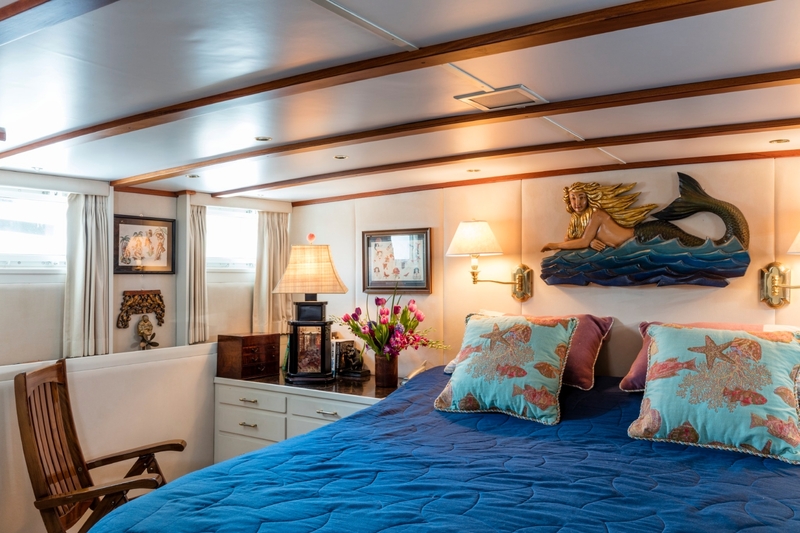 Below decks are 3 guest cabins, all with private en-suite facilities. 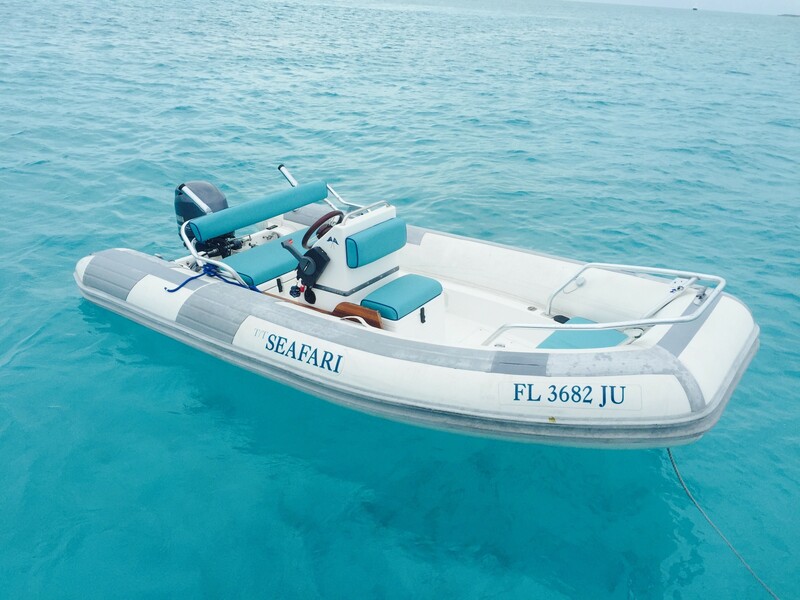 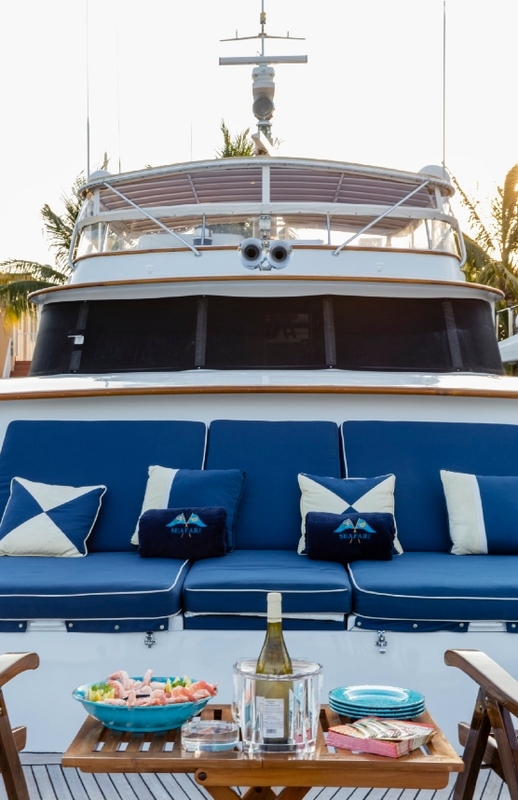 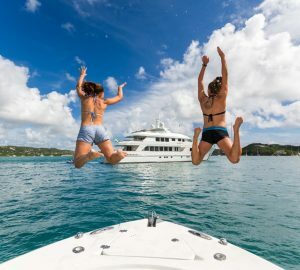 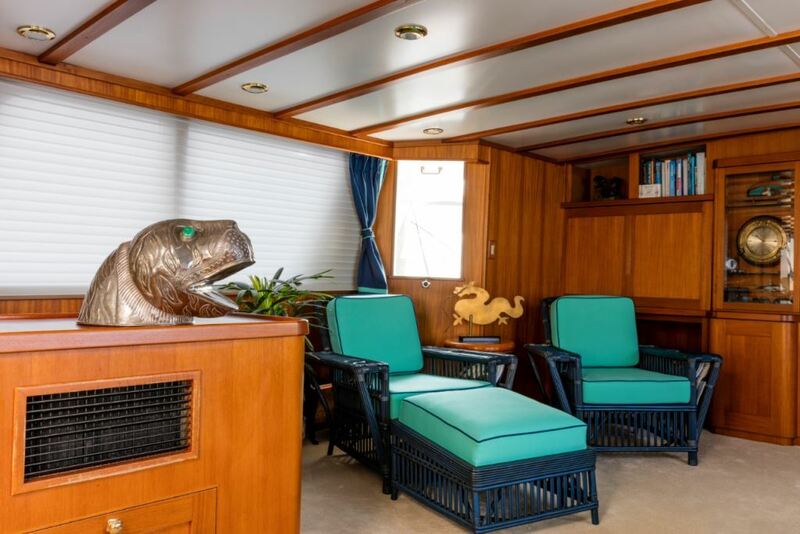 Aboard the SEAFARI, there is plenty of exterior living, including a lowered aft deck, followed by an extended swim platform, perfect for enjoying the waters with ease. 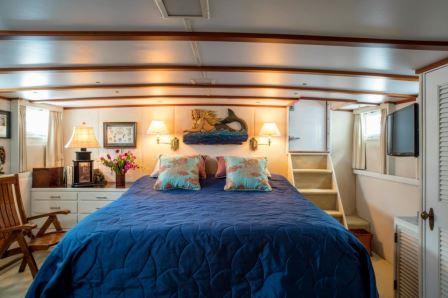 Her foredeck features a built in seating and sunning area. 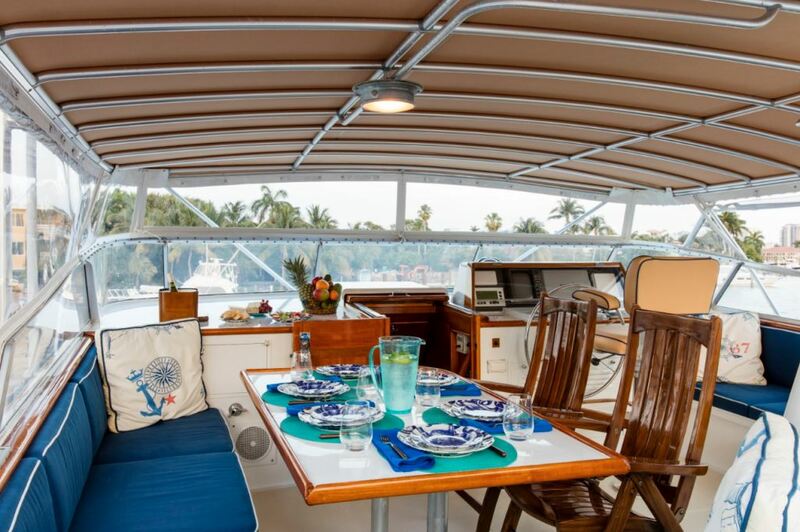 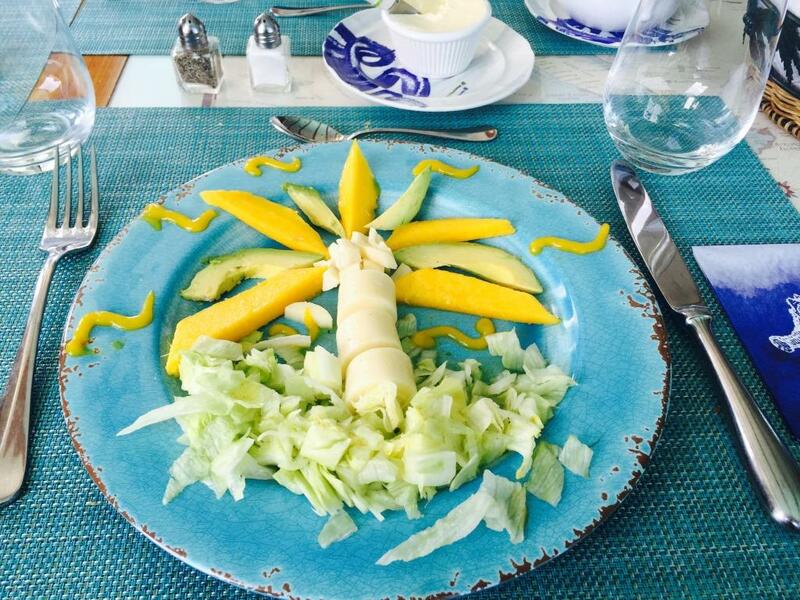 On the upper deck is an alfresco dining option, partial shade and sunning space. 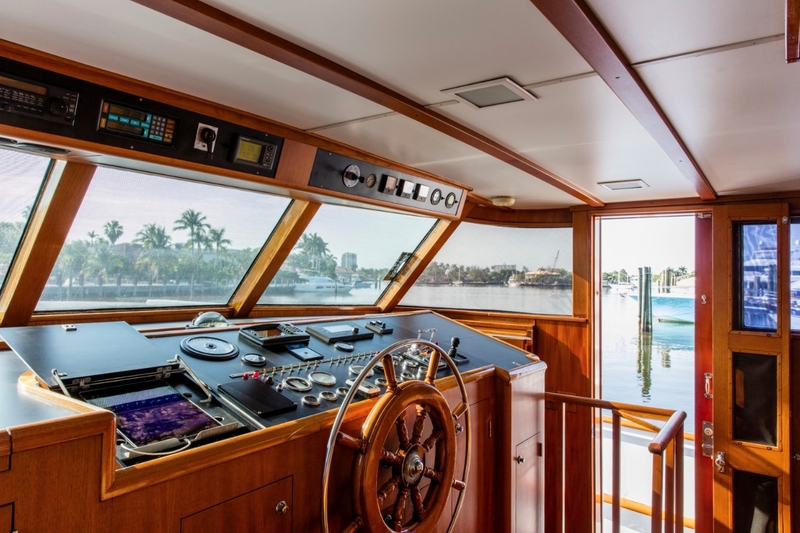 The yacht is powered by 2 x CAT 343T engines and has cruising speeds of 12,5 knots and top speeds of 14 knots. Accommodation is in one master stateroom aft of the yacht and full beam, with a king size center lined bed. Two mirror images guest cabins have side by side twin beds and are on port and starboard of the yacht, just forward of the master stateroom. 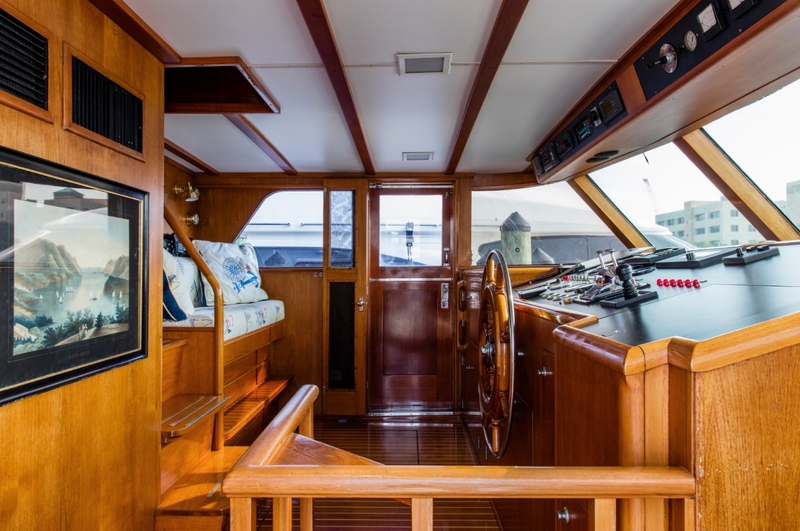 Audio Visual Equipment and Deck Facilities On deck powder room has ceramic sink, teak & holly sole low profile head. 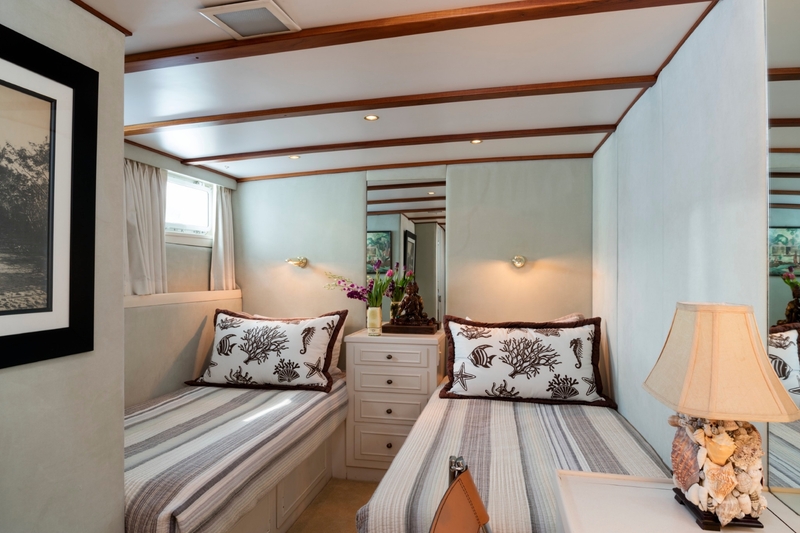 AV equipment includes Samsung TV in Master Stateroom, TV in Main Salon with over 1,000 movies available.